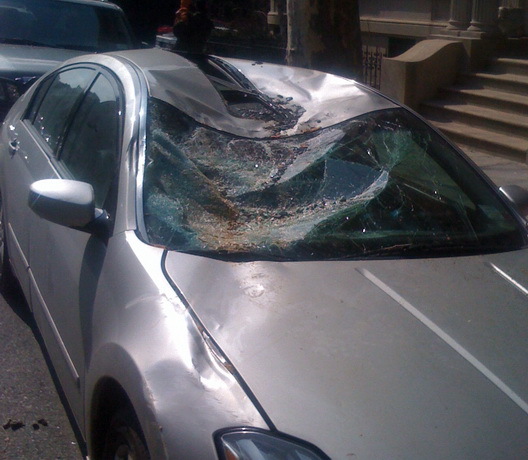 During the recent wind, a tree on 8th Ave. at Garfield (in Park Slope) fell on a car. I'm not sure exactly when it happened, but noticed it yesterday. 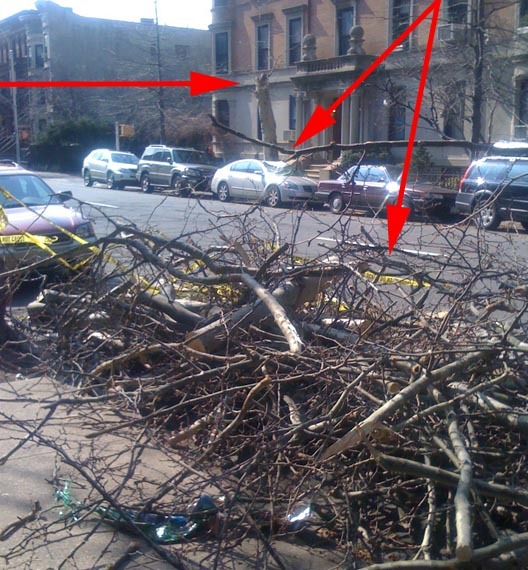 Looks like someone did a fast job of getting the tree cut up and out of the street. My friends and I wondered if the owner of the car knew about it yet. It looks like the tree's trunk had rotted and it gave way. It would be a nasty surprise to come out and find that. They'll know soon if they're moving it Wednesday night/Thursday morning for alternate side.